Lettermo.com | In February, mail one item every day it runs. #lettermo Sign up to find Lettermo Penpals! Since 2001, April has been known as National Card and Letter Writing Month when it was officially designated by the U.S. Postal Service “to raise awareness of the importance and historical significance of card and letter writing.” Well, it’s no surprise that it’s another favourite month of LetterMoians too! Egg Press in Portland, Oregon, started the WriteOn Campaign in 2014 with the hopes of creating a letter writing habit by completing the joyful task and challenge to write 30 letters in 30 days during April. Their mission is to “promote joy, creativity, expression, and connection through hand-written correspondence.” They have a great list of resources including templates and printables. Need to stock up to get through the month? They have a limited supply of special #Write_On merchandise available and have a special offer on qualifying online purchases through March 31st with special code. Do you enjoy meeting other card and letter writing fans? Check out their calendar for events or the Directory of Letter Writing Societies to see if there is a group in near you to see if they are having a meet up. Most of them also accept mail too so you could add them to your list! The directory was created earlier in 2019 by Megan Hillman, the founder and letter-writer-in-chief of the Colorado Correspondence Coalition. Please contact her if you have started your own letter writing club and want to be added to the list. Still looking for someone in addition to your LetterMo friends to write to in order to meet your goal of 30 mail items? Consider #MissionMail – from the LetterMo STAMP (bingo) game P2: “Participate in a Mail Mission – Members have already posted several ways to put positivity into the world via mail” by sending words of encouragement and support, and to bring a bright spot to someone’s day. They include: US Military members or being a Soldiers’ Angel, Canadian Forces members, Mail More Love to folks who have been nominated, Prisoners, Elders, Foster Youth, Hospitalized Kids, Peace Corps members,Long distance truck drivers, and showing support and solidarity after tragedy in Christchurch , New Zealand. You can also check the LetterMo Facebook Groupas members post other mail writing campaigns they come across. Do you want to track your letter writing? Check out this collaboration stamp by Rhea of @MailMoreLove and Paper Pastries to show what number piece of mail you’re on #/30, as well as all the other adorable mail related rubber stamps. Speaking of stamps, these are my current personal favourite snail mail stamps from Wit & Whistle. Does the idea of 30 Items still seem daunting? 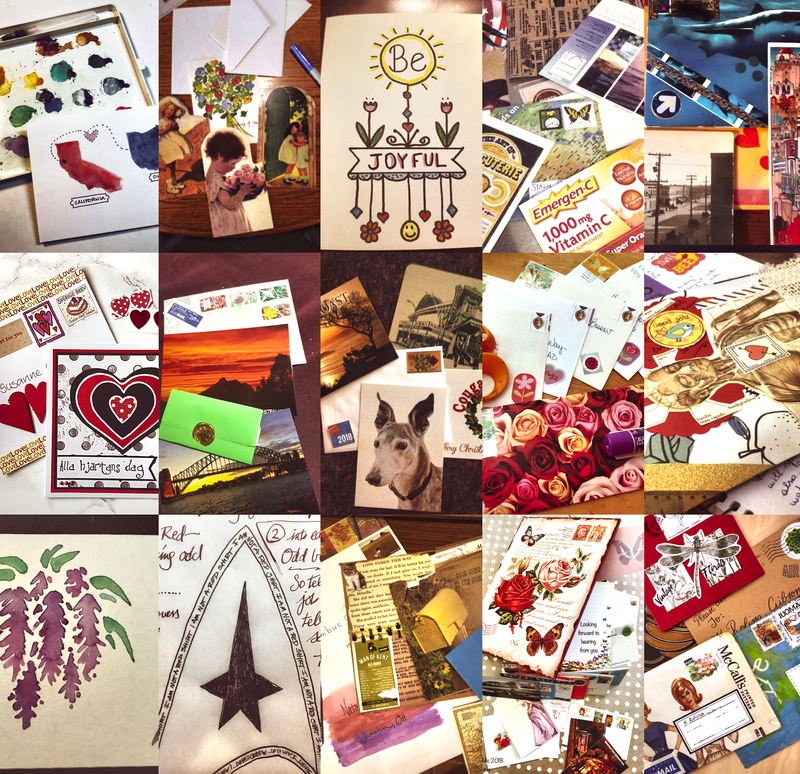 Consider Pretty by Post’s #SendCardsSpreadLove Challenge which runs April 15-19. Danielle, PbP’s Chief card curator & paper lovah, asks if you have 5 days (yes, just 5!) to dedicate to your loved ones to create deeper connections by sending cards and spreading love that will become keepsakes that will last a lifetime. When you sign up, you will receive an email with the #SendCardsSpreadLove Challenge outline as well as a special code for limited time offer for free shipping if you’re interested in ordering curated greeting cards and stationery. You will also receive tips, resources and you can enter to win daily prizes when you post your entry in the private Facebook Group or Instagram. Sign up today and get all the details about this fun challenge. The official hashtag is #sendcardsspreadlove. Snail Mail Superstar from Constellation & Co. Speaking of fun, be sure to check out Sara, Snail Mail Superstar and LetterMo supporter from Constellation & Co. for a month of deals, new releases during National Card & Letter Writing Month, as well as resources about reasons to write and overcoming hurdles to writing. Let us know below if you know of any other organizations celebrating National Card & Letter Writing Month by hosting special events or offering special deals to letter writers. THANK YOU to all our LetterMo Friends around the world! Hope you made some great new pen pals and are ready to keep MARCHING ON to honour the pledge to write everyone who wrote you – trust us, every friend you added will look forward to receiving your letter even if it is March and beyond. Very special shout out to Admin Team who all volunteer their time! Three cheers for @mizlit, @spatulate, @reg-o-rama , @sorrow11 and especially @Cooksterz for all the behind the scenes wizardry. While the month is over, please keep in touch with the community throughout the year and keep writing! LetterMo is hosting a virtual letter writing social. While we won’t have a space for an online meet-up, we encourage LetterMoians to coordinate with letter writers local to them, invite friends and family to join in a real location, coordinate an online hangout with your favorite pen-pal, or simply take your letter writing to a public place. If the time doesn’t work for you, adjust as needed. Share your Write-In location or snap pictures of your progress for the last Sunday of our February challenge. You’ve Found Some Pen Pals, but Now What? This is my second year doing the LetterMo challenge. I have to tell you, last year I was so excited! The idea of writing to a bunch of new individuals from new places was really compelling to me. I have friends and family all over the globe, but new people? A chance to say “hey” to someone I might never meet? I can tell you, it appealed to my introvert soul like all get out! after sending out about 10 letters to folks I had never met, my brain got tired. I had yet to receive a letter back — heck we were only ten days in, what did I expect? However, the creative fire was more like an ember and I was flat out tired of trying to be interesting and engaging. Food is a great connecter and even though some of us have strange diets or food allergies a recipe for a family favorite is always fun to get. If you want to spice it up, tell about where it came from, how old it is or what happened the first time you tried it. Anything anecdotal that makes it even more fun for the soul your sending it to! Poetry! While not all of us love John Donne like I do, a sampling of some poetry you like gives the person you’re writing an opportunity to learn about an author they may or may not have heard of before. If you feel adventurous write about why you like that poem, what it means to you. Or consider a more creative outlet, and make your own black out poetry. Comic strips! I don’t get the paper on Sunday anymore, but I love reading comics online. It’s easy to find a funny one to print out and tuck in the envelope. I confess my sense of humor is dry and warped, so sometimes the strips I choose really showcase my nutty side. Seeds! My local garden center already has their seeds out for 2019, and even a package of butterfly mix is fun to sprinkle in a pot for the window. But be careful, sending seeds internationally can be tricky. Tea! Tea bags, the sealed kind is best, and it doesn’t have to be something fancy. I have a dear friend who sends me oolong from Japan in every letter. One pen pal to whom I sent tea informed me she was NOT a tea drinker, but that she had saved it, so was able to offer it to a visitor who was delighted to try it. Don’t worry whether or not someone will like the tea. if they don’t, maybe they will just tuck it in their next outgoing piece of mail! I should also point out that if you are packing an envelope with tea, seeds, or other fun extras, you will need to weigh your final packaged letter to see how heavy your missive is. If you live in the US, anything over an ounce requires additional postage. Your friendly neighborhood postal worker can help you make sure your letters won’t be returned for insufficient postage! I had an international pen pal from Russia send me a wrapper from a candy bar. The illustrations on it where amazing! Imagine my surprise when I got a letter written on the paper that goes around a coffee cup with the coffee shops logo on it! How unique was that? No matter if your letter is long and rambling or just something short and sweet with a bit of whimsy tucked in, there is someone on the other end who will be delighted to hear from you! We’re trying something new this year. At the onset, virtual “badges” were awarded to participants for various mailing accomplishments. They were awarded on the honor system with submissions through the website. Sadly, given the current state of the code and our resources to fix it, virtual badges are not available this year. Instead, we’ve created an analog way to keep track of your frequent mailings (our downloadable mail tracker) as well as this challenge for your postal participation. We hope you enjoy the game. If you have any questions, please ask!. As the month continues, we’d love to see snaps of your progress. Call out “STAMP” (like BINGO) in the STAMP forum when you complete a column, row or even share a picture of you completing the task (FB group, on IG, or in the forum). Share photos of your task completion — either images of physical evidence or the progress on your card. Each square has a task. This post will point you toward resources for completing them. S1 Used a typewriter Typewriters are making quite the comeback. Many analog folks have already given them homes. Stores and enthusiasts around the country are refurbishing them. Type-ins are become more and more common. If you don’t have access to a typewriter, but would like to complete this task without buying one, check in with your local library. Several still keep one around. Or perhaps drop by the NYC Police Station? Not sure if they’ll let you borrow theirs. You can choose to type on a label, a whole letter, or just the salutation. Whatever works for you, works for this square. S2 Tagged #LetterMo on IG or Twitter Our official tag for the year is #LetterMo2019. Share with us your outgoing, incoming, or photo evidence of a finished challenge task. S3 Used Vintage Postage Stamps Some of us have this in bottom drawers of our desks, but new vintage postage can be found easily on Etsy or eBay. If you’re not in the U.S., verify the rules about using vintage postage. Using old value postage in the UK is acceptable. S4 Used LetterMo Stationery Our designers and other member volunteers have created several options for downloads. Check our Dropbox Link or FB Group Files, for the latest updates. Bonus points for creating and submitting your own design! S5 Used a Wax Seal All kinds of sealing wax is available, from pre-made discs with a backing, to using glue guns, to mail safe wax as well as traditional. Historically, wax was used inside a letter to mark its authenticity, as well as to keep various folds secures (see Letter Locking). If you place your seal on the outside of your envelope, consider paying the non-machinable fee to help ensure the seal arrives intact, or place your finished letter inside a vellum or clear envelope. Remember the stamp still needs to be on the outside! T1 Sent International Mail We have members in many different countries! Using our search tool, you can find a specific country to which you’d like to send mail or find an international pen pal who shares yours interests. If you participate in Postcrossing, that counts! T2 Attended a Letter Writing Event Letter Writing Societies are having a zenith moment. Megan, the founder of Colorado Correspondence Coalition has created the LWS Directory to help people find letter writing groups in their area. Once she gathers information about the organizations, her next step will be to help the people who are interested in correspondence clubs to find each other if a group doesn’t already exist in the region. Consider posting in our forum or asking in the Members Group if you’re looking for a social letter writing opportunity. Folks have been known to hold virtual events as well. Whether that means coordinating with other LetterMo folks and sharing your progress via social media, or connecting over Hangouts, Skype, or Facetime while you chat and write. Perhaps the LetterMo Postmasters will organize a write-in date? T3 Posted Intro in the LetterMo Forum The easiest way to ensure your account will survive our May spring cleaning — not to mention the best way to see which members might be your perfect pen pal match — is to post your Introduction in our Forum. T4 Sent a Homemade Card Mail It Monday has an IG movement (#MailItMonday) for all our card making enthusiasts — don’t stop at being card makers, be card mailers! For those of you not regularly crafting your own cards, give it a try! Hallmark’s blog Think.Make.Share. offers several ideas for cards to make. T5 Became a Member of the L.W.A. Whether we are members or not, most snailmail enthusiasts have been positively impacted by The Letter Writers Alliance’s 10 year devotion to correspondence. For a $5 lifetime membership, you can show your appreciation for their efforts, as well as access Member Only downloads, other goodies, and super secret mail initiative challenges — as well as take advantage of their pen pal matching service. Their blog is full of epistolary joy and worth a regular read. A1 Sent a Homemade Envelope There are so many ways to make an envelope. Member goodjujubot offers a tutorial in her IG highlights. Naomi Bulger sends along gorgeous mail art printables for free via her newsletter or you can purchase her Mail Art Coloring book. A quick search or perusal of Pinterest will provide an array of templates, foldables, and tools. Some writers turn security envelopes inside out to create new, interesting envelopes. Ideas are endless! A2 Used a Postbox Taking inspiration from L.W.A., Postmark’d Studio has declared 2019 as The Year of the Postbox in an effort to save U.S. blue boxes. For a postbox to stay in service, it must receive 25 pieces of mail daily. The #2019YearofthePostbox movement is to encourage us to adopt a local postbox and feed it as often as possible! A3 MONTH OF LETTERS This square is earned by completing the Month of Letters Challenge — putting something in the mail every day the post is delivered and replying to all the mail you receive in February. Yay you! A4 Sent a Recipe It might be as simple as your favorite personalized five ingredient hot chocolate mix or as complicated as your favorite recipe for an impressive main course. The recipe can be a tuck-in for a letter you are already sending, or if cooking is your jam, you might involve yourself in a recipe swap. A5 Sent a S.A.S.E. In the early ‘80s, Free Stuff for Kids opened a whole generation’s eyes to the power of the S.A.S.E. (Self Addressed Stamped Envelope) by compiling a book of kid friendly things that one could procure for the cost of two stamps. S.A.S.E. opportunities are less common these days perhaps, but it’s no surprise when snailmail oriented folks give them a purpose. The You Are Beautiful campaign offers stickers. The L.W.A. has their book Zine via S.A.S.E. Occasionally, the marvelous folks at Leaf Cutter Designs, who are responsible for #tinymail and the World’s Smallest Post Office also occasionally offer S.A.S.E. opportunities. Sign up for their newsletter and/or follow their Instagram. MizLit will be offering a limited S.A.S.E request opportunity. Free tickets will be available from Eventbrite. Once you “buy” the ticket, your spot will be reserved, and then you will receive an email with instructions for where to send your S.A.S.E. M1 Shared Picture Mail Snap your outgoing or incoming mail to share it with us … in the forum, the Members Group, IG, Twitter — pair with S2 to earn two squares! M2 Sent a Homemade Postcard Several of our members make outstanding postcards, so hopefully they will chime in with some tips and tricks. There are many ways to complete this square. Upload a photo to a service like Touchnote or Postcardly, print your own on heavy cardstock at home, or cut a postcard shape out of heavier weight paper and decorate it are just some of the ways to create postcards. If you’re concerned that you masterpiece might not make it through the mail intact, you can pop it in an envelope (a homemade one?). A homemade postcard in an envelope still counts as making your own postcard. M3 Tried Letter Locking As mentioned previously, Letter Locking was often paired with wax to ensure the letter reached its intended recipient unopened. In essence, Letter Locking is a more intricate version of what many of us know as the way we folded the notes tossed into friend’s lockers or surreptitiously slid onto desks. The one difference is that a locked letter, once opened, the tampering would be obvious. You can do your own research to attempt to recreate a locked letter, or send a modernized version of folded paper. M4 Sent a Poem or Quotation Poems or quotations make perfect letter tuck-ins — or you can send them on their own. Send a favorite or find something appropriate for your recipient’s interests. M5 Sent a Mail Tag Mail Tags are tuck-ins that specifically list questions for your pen pal to answer. They can be designed for your partners to answer and send back to you; or just ask questions to help them start their response to you that’s part of a longer letter, or even challenges for them to complete. The tags themselves can be functional, short lists or more creative depending on you or your recipient’s tastes. P1 Sent Away for a Special Postmark The USPS frequently uses a nationwide pictorial postmark. Specific post office locations can also offer special postmarks. Lucky for us, Collect Postmarks keeps an updated availability list. Location cancellations can add interest to holiday mail, like this list of Anti-Valentine’s postmarks or sending your cards to be remailed out of Loveland. Make sure to read the How To section to know how to garner your own special postmarks. A list of Canada Post pictorial cancellations can be found here. P2 Participate in a Mail Mission Members have already posted several ways to put positivity into the world via mail. Check this list and watch our media platforms for additional opportunities. 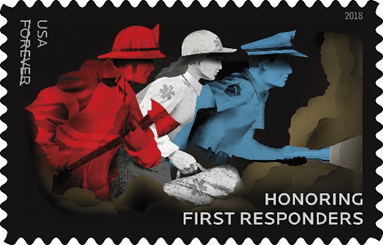 US Military members, Canadian Forces, folks who have been nominated to be showered with letters, prisoners, elders, foster youth, hospitalized kids, Peace Corps members, long distance truck drivers are all people who would be happy to receive mail from you. P3 Sent an Unusual Object Until recently, the L.W.A. offered pigeons that could be sent through the post unboxed. Rubber chickens. Pinatas. Beach balls. Flip Flops. This piece of cake. All meet the requirements to be mailed without any additional packaging as long as postage is appropriate. You may need to choose your postal clerk carefully. If you’re a bit shy, you can employ a service who mail coconuts. P4 Hosted a Letter Writing Event Virtual or in person. Invite another like-minded mail aficionado to hangout and write with you and you’ve hosted a letter event! If you have a larger group in mind, consider these tips or send a message to any of the several writing groups on IG asking for suggestions about how to start. Snailmail people are the best people! P5 Used a Fountain or Dip Pen If you don’t already have a fountain pen, consider an inexpensive purchase from this listhttps://www.jetpens.com/blog/the-beginners-guide-to-fountain-pens/pt/927/a or these recommendations. Dip pens or dip pen kits can also add to your letting writing options for minimal cost. They have sent a real, paper letter to Castle in the Air illustrated with some of their own artwork. They have sent a real, paper letter to Castle in the Air telling us of a good deed they have performed. They have been mentioned favorably here on the Castle in the Air blog. If you’re not feeling deserving for whatever reason, you can also nominate someone else to complete this task. The virtual badges of years past will not be an option this year. Code is unfixable. Our members have shared their various ways for letter tracking. We are also offering two analog tracking downloads via our Dropbox. One tracker is basic while the other is more extensive. to all who are participating in the 2019 Month of Letters Challenge. Just a quick note to thank you all for joining us from all corners of the world. It is great to see many people return, invite others and offer their help to the newbies. Amazing news to share: over 100 people have signed up since January 19! We’ll be telling you more about it in the next few days. It has been fun to watch the excitement, stationery and stamp collections build. Also, we have some wonderful members who have designed amazing stationery artwork, trackers and tools, and shared with the group. On behalf of all of us – THANK YOU! There will be a DAILY MAIL CALL POST in the Facebook Group in which you can share your outgoing/incoming mail. Please remember to obscure addresses for privacy. If you are posting anything else on social media channels, please remember to use #LetterMo so we can find it. HAPPY MONTH OF LETTERS TO ALL! Our 2018 Lettermo Mail Art Contest was full of gorgeous creations! Our members create construct and have such artful attention to detail! It was difficult to choose 3 winners. You can see the winners slideshow down below. We thought a Collage redux, was in order! Our members beautify mailboxes globally! CONTEST WINNERS SLIDESHOW – March On Mail Art Contest! Members: We will rework the Forums for 2019, and are still in need of fresh buttons, banners and graphics. Currently 2 moderators here, trying to keep the site going! Check FB and IG for more instant gratification! During Summer, Lettermo member activity slows a bit. We are still replying to pen pals we correspond with, but downtime is a good letter writing practice. 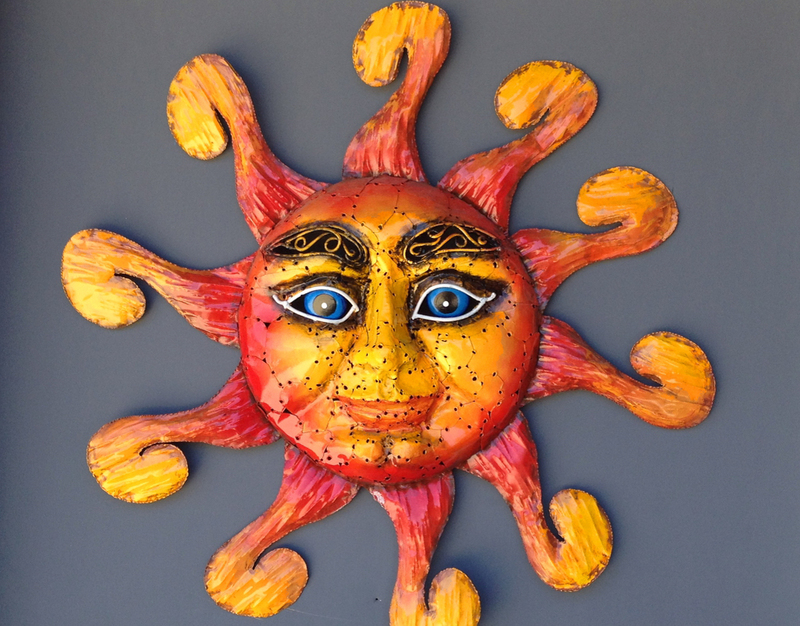 This recharge allows for activity, life, events, happenings to transpire so that you have something great to write about or reference in your letter. Remember a fast response time, is not always necessary when you write pen pals, that you’ve bonded with in previous transmissions. It makes the long awaited reply, that much sweeter! As you get to know someone through a letter, you may wonder about how life for them has changed or altered, so writing back too quickly can mean short letters, without new topics or much to say in return. Let the sun, the outdoors, nature and family/friends recharge you! Of course, in today’s news climate, a few months could mean dozens or hundreds of world events, disasters, or “extinctions” taking place, that are affecting humanity and our planet! The Heat has really taken a toll on us Americans! I am in the deep South and can say I am very used to extreme heat. A week of 110+ heat indexes in a very old house, an older Jeep with no AC, was something to bear, even for a seasoned southerner! ( My heat-bearing advice: “Head and Feet” keep them cool! Carry water and worship the shade!) My poor walking postal carrier deserves a big thank you and an Ice Cold Lemonade! Letters that are arriving through my mail slot, arrive pre-heated! I saw several people go down while out in the city this last month. Life saving First Responders, SAFD, EMS and Fire Department calls for heat related incidents were at an all time high here in South Texas. Hydration and Preparation can save your Life! See the Forum Post or our FB/TW/IG posts for more . Share a story about how Firefighters in your town, state or country go above and beyond! Send a thank you note, to your local firehouse, or to one handling the Carr Fire, or nearby Pacific NW areas affected by these devastating wildfires… Does your local firehouse need more thank you letters and notes? Tell us! Use #letterstofirefighters so we can see too!! THANK A FIREFIGHTER #letterstofirefighters Thank you letters, postcards, notes, or even an in-person or monetary thank you. Are you just starting at Lettermo.com and want to find penpals to write to? SIGN UP anytime! Fill out your profile, and head into the Forums INTRO section to say hello or read through Lettermo Member Intros! Visit “Mail Call” to hear from others requesting mail and Add them as a Friend, to exchange addresses! In February, mail one item every day it runs. #lettermo Sign up to find Lettermo Penpals! Catch Up, Reply, Keep on Writing! "THANK YOU ALL MEMBERS! Lettermo 2019 was more engaging than ever!" ◙ WE STILL WANT TO SEE YOUR COMPLETED STAMP CARDS ◙ #LetterMoSTAMP #lettermo hashtag, inspire or connect!